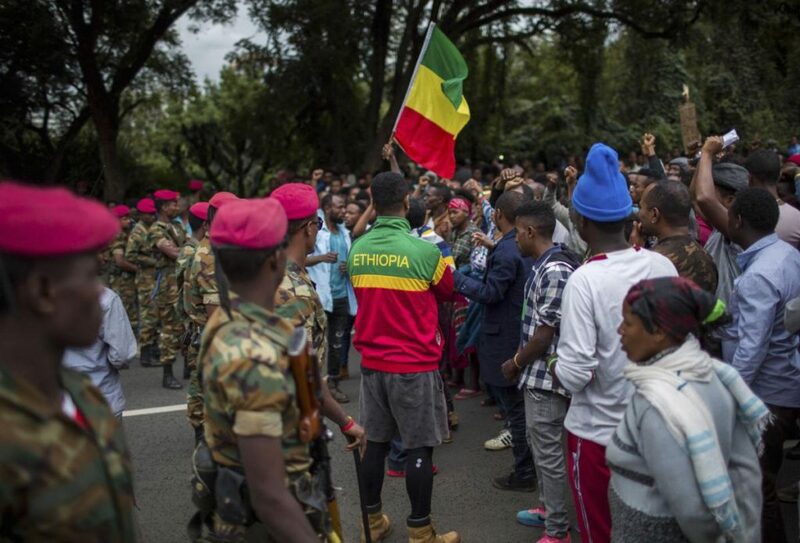 FIVE people were killed as thousands of Ethiopians demonstrated in the streets of the capital on Monday to protest ethnic-based attacks in the outskirts of the city in which more than 20 people died over the weekend. Five people were killed in the protests and between 20 and 25 people were killed in the weekend attack. About 700 suspects are in custody. The demonstrators are calling on the government to take firm measures against the perpetrators.